World War Two was an apocalypse. At its head an anti-Christ figure, who would popularise an ideology which would lead to the deaths of more than 50 million people. How was this nefarious philosophy born? And, what could possibly ensnare seemingly ordinary people, compelling them to commit such atrocities? According to some, it all started with the occult dabblings of an eccentric Bavarian count and a group of Tibetan monks. 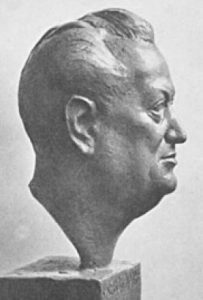 In 1917, the occultist Baron Rudolf von Sebottendorf met with his fellow paranormal practitioners in Vienna. They had extensively studied the teachings of the Hermetic Order of the Golden Dawn, a magical order devoted to the practice of the occult. Part of their studies had impressed upon them the Order’s knowledge of Asian secret societies. Intrigued, they are said to have contacted an occult sect of Buddhist monks, inviting them to come to Germany to help enhance the knowledge of their own secret society, known as the Thule.1Bronder, Dietrich. Before Hitler Came. 1975. The beliefs of the Thule society comprised vehement anti-Semitism and anti-Communism, which grew out of the notion of a their being a racial elite, known as the Aryan race. Beside their political stance, the Thule had a mystical side as well, with a membership that included spiritual mediums, psychics and clairvoyants of every sort. Such mediums would claim to have communicated with the Knights’ Templar, pointing to them as their holy predecessors. The Thule also had connections with many other popular “secret” societies of the age including Madame Blavatsky’s theosophical society, which was extremely widespread and also preached the mystical properties of racial elitism. As such, when Baron Rudolf contacted the Buddhist monks, he did so with the intention of justifying the supposed holiness of Aryan race. In particular, he sought to uncover the secrets of Agartha and Shambhala, two legendary cities where the Aryans were said to have hidden their power in Ancient times. Whilst a modern-eye may regard such beliefs with righteous disdain, it is important to recognise that this was no minor organisation. In fact, the Thule Society’s membership comprised many of the German societal elite. They were known to have hosted their meetings in luxurious settings, including the Four Seasons hotel in Bavaria. By 1919, the society had grown so large that they even launched a bid to infiltrate the Bavarian government. This failed, resulting in their subsequent suppression by the government and eventual dissolution by 1925.2Goodrick-Clarke, Nicholas. The Occult Roots of Nazism: Secret Aryan Cults and Their Influence on Nazi Ideology. 2004. However, the legacy and ideology of the Thule Society would endure. Before their aborted coup attempt in the April of 1919, members of the Thule society helped to found a political party. 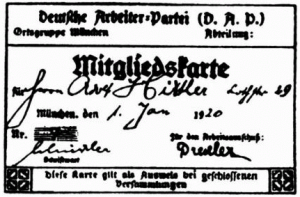 Founded in the previous January, the German Workers’ Party integrated some of the Thule’s beliefs. Because of this, the Bavarian government were suspicious of the party’s activities. By July, the German Workers’ Party had a spy in their audience – a man who would quickly be seduced by the party’s bigoted manifesto. The spy was called Adolf Hitler. Only a year later, on the 24th of February 1920, the party was dissolved, and replaced by the National Socialist German Workers’ Party. They would go on to be known as the Nazis. Many years later, in 1945, Berlin was in the process of falling to the Russians. However, in the midst of the warfare, a strange story began to circulate regarding the discovery of six Tibetan monks by a squadron of troops. It was said that they had been found sitting in a circle, dead, having committed suicide. At its centre was a monk wearing a bright, green glove. At the sight of this, one of the Russian soldiers from Mongolia, had dropped to his knees, frantically praying.3 Baker, Alan. Invisible Eagle – The History of Nazi Occultism. 2000. pp. 88-89. These six Tibetan monks were the final participants in a secret occult war which had been raging between the Allies and the Axis since the start of World War Two. That there was an occult element to the conflict is certain. 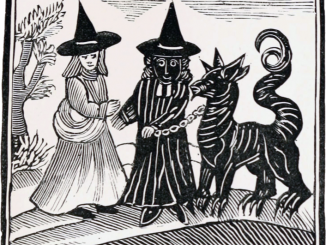 The intricacies, details and extent of occultism in the Second World War, is however, by its very nature, difficult to trace. There is no definitive answer as to why those monks were in Berlin, or even if they ever existed. For as the Third Reich was falling, a veil of secrecy was quickly draped over the underbelly of the most harrowing experience Western civilization had yet undergone. When the Germans were defeated, people cared little for the whys and hows: they merely breathed a sigh of relief, thankful for the end of yet another bloody, global conflict. On top of that, the Third Reich itself had been eager to strike a match against much of its own records. Because of this, it would take decades for the details of World War Two to be uncovered. Certainly, the full horrors of the Holocaust were not fully understood until 20 years later, with the war crime trials remaining unresolved until the 1980s. Even today, we are still living through the fallout of history, with some revisionist ideology even attempting to deny the likes of the Holocaust altogether. Unlike the colossal, barren death camps which litter the landscape of Europe, World War Two occultism left only the faintness of marks on the pages of history. As such, the evidence that remains relies heavily on incomplete records, testimony and circumstantial, educated speculation. Keeping these factors in mind, one can more carefully navigate occult activities in the Second World War. At one point or another, all of the senior heads of the Nazi party were involved in the occult. 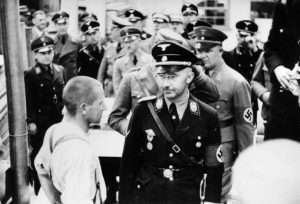 Heinrich Himmler was the superstitious head of the SS division of the party. Sometimes referred to as Hitler’s “witch doctor”4Yenne, Bill. Hitler’s Master of the Dark Arts: Himmler’s Black Knights and the Occult Origins of the SS. 2010., Himmler was obsessed with the occult. He would imprint upon the paramilitary organisation a set of principles which would transform it into a more powerful and militant version of the Thule Society. The SS even had a mystical archaeological division called the Ahnenerbe. Its purpose was to travel to distant locations in order to obtain proof that the Aryan race had once ruled supreme. They flew many times to Asia where they took particular interest in Tibet, attempting – as their forebears had – to unlock the secrets of Shambhala. Yet, the Ahnenerbe were not the only occult force in the SS. Within the upper echelons of the organisation, Himmler led a mystical brotherhood which devoted itself to strange and elaborate rituals hosted in medieval castles. These rituals were highly secretive. However, Himmler is known to have sat at a circular table with the other heads of the SS, alluding to themselves as the black knights of the round table. At one point the secret society ritually reburied an old Teutonic leader, revered for having been a great general against Eastern Europeans.6Yenne, Bill. Hitler’s Master of the Dark Arts: Himmler’s Black Knights and the Occult Origins of the SS. 2010. In addition to this, fortune tellers, psychics and astrologers all sat on the advisory committee of the SS. Initially, they were used chiefly for propaganda and crowd control purposes. However, as time went by, and with the war increasingly testing the Nazis patience, their alleged paranormal insights were taken more seriously. An important paranormal practitioner for the Nazi cause was Erik Jan Hanussen, an Austrian occultist, mentalist, clairvoyant and professional showman. Indeed, he was professed to be so skilled in the arts of crowd-pleasing, that it was said that he was the one who taught Adolf Hitler how to use his hands and gestures to hypnotize the audience before his election in 1932. Whilst Hitler dutifully obeyed his skilled mentor, Hanussen was in fact Jewish. Hitler supported him until the clairvoyant made a prediction too far. Hanussen foresaw the Reichstag fire of 1933, the infamous false flag terrorist attack that would enable Hitler to seize absolute power. As the building burned and the media distracted itself with the rapid transformation of government, Hanussen’s corpse was quietly buried in a grave outside Berlin. Afterwards, it was even claimed that it had been Hanussen who had hypnotized the man who lit the match on the Reichstag.7Gordon, Mel. Hanussen: Hitler’s Jewish Clairvoyant. 2001. p. 242. With his enthusiasm for the occult waning, by 1934, Hitler had turned on many of the occult circles in Germany. After all, he knew full well the power that they had to influence politics in his domain. Attaching Freemasons and other lodges to the Great Jewish Conspiracy, they were all shut down and suppressed, their members forced into hiding. Some argue that it was at this point that secret societies caught the attention of British intelligence. By reaching out to those who had been alienated by Hitler’s regime, Britain was able to use Freemasons and others as an underground network to facilitate their spies in Nazi Germany. One incredibly speculative account suggests that it was through this network that the British were able to accomplish one of the most astonishing feats of World War Two.8Levenda, Peter. Unholy Alliance: A History of Nazi Involvement with the Occult. 1995. 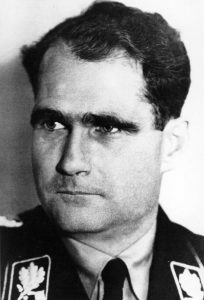 Rudolf Hess was the deputy Fuhrer and the third most powerful man in the Third Reich. Like Heinrich Himmler, he was both an ardent Nazi and very superstitious. It was said that Hess would consult fortune tellers and astrologers to help him make decisions. Ernst Strathaus, a keen amateur astrologer, was one such man. 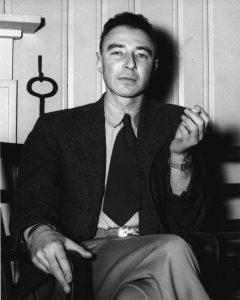 Later, under Gestapo interrogation, Strathaus admitted that – in supposed jest – he had suggested to Hess that there would be a ‘Major Conjunction’ (namely, the presence of six planets in one sign of the zodiac) that would take place on 10th May 1941, and would coincide with the full moon. Some say that this ‘jest’ was in fact part of a British espionage plan, masterminded by a German-born author and astrologer Louis de Wohl. Alongside being praised for his work with MI5 during World War Two, Wohl was known to have had many contacts in astrological circles in Germany. His assistance to the Allies was so useful, that the British even promoted him to the rank of Captain, albeit temporarily.9“Britain Used Astrologer in Fight Against Hitler”. Associated Press. 3 March 2008. Retrieved 09/02/17. Although British intelligence supposedly used Nazi superstitious belief to their advantage in this instance, the Allies had previously been slow to realise the potential of the occult. In particular, the power of “black propaganda”. It was when the Nazi’s began to employ the exceptional clairvoyant, Karl Ernst Krafft, that Britain started to fear the influence of occultist predictions on the opinions and morale of the general public. The story of how Krafft caught the eye of the German Fuhrer is explosive. In 1939 Hitler spoke at the Munich beer hall to his fellow partisans. After walking off, the podium exploded. Hitler himself was unscathed. A week before this, Doctor Heinrich Fesel, an intelligence officer of the SS, had received an ominous letter stating that Hitler’s horoscope indicated that between the seventh and tenth day of November he would be in mortal danger. Specifically, there would be a “possibility of an assassination by the use of explosive material.”11 “Hitler and the secret astrologers.” Unexplained-Mysteries.com. Wing, Richard. 30 April, 2012. Retrieved 05/02/2017. Hitler was impressed by Krafft. So impresses that he had him arrested and interrogated, suspecting him of being complicit in the assassination attempt. However, when no incriminating evidence could be produced, Krafft was cleared and was put to work. It seems that Hitler’s interest in the potential of the paranormal had been rekindled. Krafft started to reproduce documents interpreting Nostradamus quatrains into many different languages. In particular, quatrains which purported to have seen the rise and success of the Third Reich. These documents were distributing across Europe. This tactic helped to demoralize many countries in Europe, in particular France, to surrender to what was being portrayed as the pre-ordained destiny of the world. The “black propaganda” war had begun, being regarded as a great success by the Reich’s propaganda minister Joseph Goebells.12“Hitler and the secret astrologers.” Unexplained-Mysteries.com. Richard Wing. 30 April 2012. Retrieved 05/02/2017. In response to this, the British felt the need to develop their own “black propaganda”. This is where Louis de Wohl first entered the spotlight. Recruited by the Security Service in 1940, Wohl was described by his handler as “extraordinarily clever” and a “brilliant propagandist”. In 1943, the self-declared “State-Seer” began to propagate his own interpretation of Nostradamus and other prophets, across the continent. Reports declassified by the British in 2008, also reveal how Wohl helped in the British effort to entice America into the war, by touring the United States providing false horoscopes on Hitler.13“Revealed: How MI5 recruited an astrologer in plot to outwit Hitler.” Cahal Milmo. The Independent. 4 March 2008. Retrieved 09/02/17. He is even claimed to have gained the trust of the occultist underground to such a degree that he was able to influence Rudolf Hess’ ill-fated flight as previously mentioned. When Rudolf Hess was captured by the British, the Reich once again began to doubt the trustworthiness of paranormal practitioners. During this time, fortune tellers and clairvoyants were amongst those sent to concentration camps. Included in these unfortunate souls was Karl Ernst Krafft, who had rather untactfully predicted great military successes until 1942-43, after which the war would turn against the Axis and end in a calamitous defeat. It has been said that he even predicted, and therefore leaked, the date of the highly secretive attack on Russia in 1940. Advising that peace needed to be achieved by 1943, he was duly arrested with all the other astrologers in 1941.14“Hitler and the secret astrologers.” Unexplained-Mysteries.com. Richard Wing. 30 April 2012. Retrieved 05/02/2017. All the mystics who could be found were thrown into concentration camps, believed by the Nazis to be secret British agents. Yet, the Reich never wholly abandoned their dabblings in the occult. Even as the Allies closed in on Germany, large sums were still being portioned off to the SS and their commander Heinrich Himmler for occult research. In 1943, Mussolini was overthrown and imprisoned. 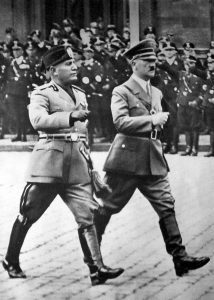 As an important strategic ally of the Reich, the safe return of the Italian dictator was paramount. However, Hitler’s cronies were becoming increasingly desperate to identify his secret location. It is alleged that, in order to please the Fuhrer, occultists were released from concentration camps and tasked to use their paranormal insight to find Mussolini. Experts on pendulum dowsing are said to have been the most helpful. They were first tested to find a German pocket battleship that was in a secret location. Ludwig Straniak was said to have swung a pendulum over a map and identified its exact location. Impressed, Himmler tasked him and others to find Mussolini. Swinging over the map of Italy, the pendulum hit its mark. Soon crack SS troops were flying in in an audacious rescue mission to retrieve Mussolini.15Levenda, Peter. Unholy Alliance: A History of Nazi Involvement with the Occult. 1995. From 1943 until the fall of the Reich, incredible legends about these occultists were in abundance. One example is their connection with the development of wonder weapons. These were the weapons that were being said to have been in production by the propaganda ministry, which had the ability to win the war. Some of the first Jet planes and ballistic missiles were known to have come from this project. However, there was one mysterious device, in particular, reported by a Polish investigator, Igor Witkowski, after the war, known as Die Glocke, “The Bell”. Its purpose was unknown, but it has been alleged that mystics with knowledge of the East worked together with scientists to create a device with radioactive capabilities. Developmental experiments were carried out a secret facility on the Czech-Polish border, inside a concrete ‘henge’ structure. It is reported that many scientists and others that were present died during these tests, the cause of death being cited as something akin to radiation poisoning. Others who possessed knowledge of the project were subsequently hunted down and killed or silenced. What exactly the Nazis were trying to create is unknown.16 Farrell, P, Joseph. SS brotherhood of the bell: The Nazi’s incredible secret technology. 2006. However, whatever terrifying capabilities Die Glock was alleged to have possessed can be said to have been overshadowed by the following account. These are claims that, in the final days of the Third Reich, attempts were made to replicate weapons that were perceived to have been described in ancient manuscripts, including the Bhagavad-Gita. According to an Italian eyewitness and war correspondent, Luigi Romersa, from the 10th to the 11th of October 1944 the Germans successfully tested the first atom bomb on the island of Rugen in the Baltic sea.17 Farrell, P, Joseph. SS brotherhood of the bell: The Nazi’s incredible secret technology. 2006. Later, in Thuringia on 3 March 1945, further testing of the weapon is said to have destroyed an area of about 500 square metres, killing several hundred prisoners of war and concentration camp inmates.18Furlong, Ray. “Hitler ‘tested small atom bomb’”. BBC News. 14 March 2005. Retrieved 07/02/2017. In this year, it was said that mass production of the weapon began.19 Farrell, P, Joseph. SS brotherhood of the bell: The Nazi’s incredible secret technology. 2006. According to German historian, Rainer Karlsch, the bomb was most likely a “hybrid tactical nuclear weapon”.20Furlong, Ray. 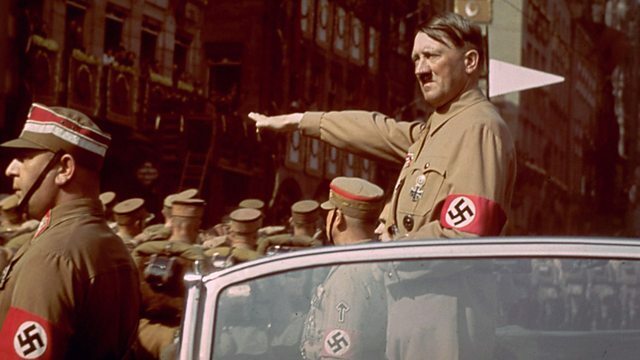 “Hitler ‘tested small atom bomb’”. BBC News. 14 March 2005. Retrieved 07/02/2017. It would seem that from 1943 to 1945 the occult and science had joined together in desperation, in an attempt to create fantastical weapons of mass destruction. By 1945, Allied intelligence reports were in fact stating that the Germans were advancing faster in regards to weapons technology. Even as the Allies had the Germans on the retreat, Jet planes, new types of submarines and intracontinental missiles were known to have been in development. Intelligence reports were beleaguered by the fact that the Allies were fighting with outdated weapons. Some, like future Astronaut Gordon Cooper, would even claim that the Allies had been only one week away from disaster had they not won the war when they did.21 Farrell, Joseph P. SS brotherhood of the bell: The Nazi’s incredible secret technology. 2006. ch. 11, p. 3. ; Georg, Friedrich. Hitler’s Siegeswaffen Band II Star Wars 1947. 2004. p. 15. 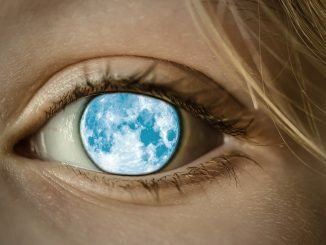 Is it so fantastical to think that scientist were influenced by the mystical world? Not only that, but were able to out-think the more rational minds of the Allies in terms of technological development. After all, what was the purpose of those strange monks sitting in a circle in Berlin?